HOW TO MOVE ONE DROP OF WATER !! It’s hard to imagine moving one drop of water. Most of us use more than that just turning on our faucets. The significance of such a minute measure is not something we think about on a daily basis. Yet for an ant this is not such a small thing at all. In their world almost everything they have to move is one hundred times their own size. The question that always comes to mind is “how do they do it?” Most of what they transport we could pick up with two fingers and carry with one. But for the might ant, it requires all of their effort and takes up most of their day. The most interesting part of what they accomplish is in HOW they do it. When I was a kid, we used to have ants in our driveway. You could actually see the little hole in the dirt where they would enter and exit from. I would sit and watch them for as long as I could. They are pretty methodical when it comes to moving the things they want. They take their time and examine things. They will walk around the object to be moved and sometimes they will stand on it as well. All of this activity just proves that careful planning must be a part of anything that is going to be achieved. It involves the assessment of the object in relation to the amount of effort will be required to transport it. And then of course comes the time to take action. 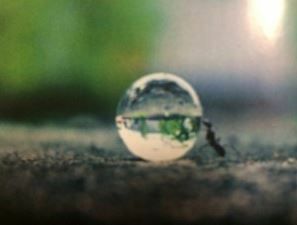 The ant takes it’s time moving the item even if it consumes an entire day’s work. If we as people applied some of these actions to our lives, we would be able to take on things of any magnitude. All it requires is careful planning and patience. That last part is where most people fall short of accomplishing their goals. When things do not happen for them instantly, they abandon they very thing that will change their lives. All because it is taking too long. What can you accomplish using this approach?